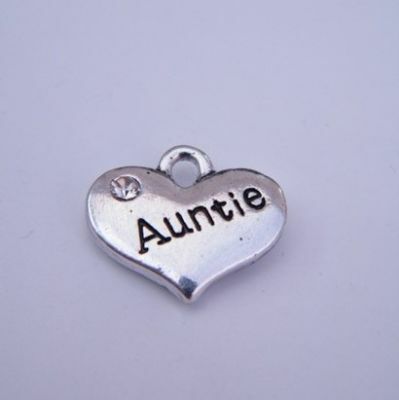 Auntie Earrings - Drop Charm Style. Silver Plated Pierced Earrings, lovely gift idea. The Pierced Earring Hooks are Silver Plated. The Charms differ in size and material depending on the one you choose. Most are made of Tibetan Silver or Metal Alloy and are between 1 to 3 cm in size. With over 50 Drop Style Charm Earrings to choose from - you'll be spoilt for choice!